Are you looking for fantastic composite doors in Rochester, Maidstone, Sittingbourne, Chatham, Lenham, Ashford or across Kent? If so, I have a stunning range of composite doors available for you to choose from. They are the most durable and robust front doors on the market. If you need a door that provides maximum security with minimum upkeep, there really is no better alternative than my reliable composite doors. With a far superior performance than uPVC front doors, composite doors are a sound home improvement investment that will last many years into the future. Using only the best contemporary materials, the composite doors I provide are unrivalled on the entrance door market. The range of composite doors I offer has a timeless, traditional style, perfect for anyone looking to make their home more modern. Because they are built with a mixture of modern materials, these doors are hard-wearing and long-lasting. Consisting of multiple layers which not only provide enhanced strength but exceptional insulation qualities, you be impressed with the difference a new composite front door can make to your home in Rochester or Maidstone. For increased durability and performance our composite doors can come with a scratch and scuff resistant GRP (glass reinforced plastic) skin. This makes the performance of the doors even more powerful while maintaining a natural finish that perfectly resembles traditional timber. They are an ideal purchase for keeping out the harsh effects of the unpredictable British weather, keeping the rain locked out, and the warmth locked in. Intelligently designed features keep out water and cold draughts to keep your family and home warm and dry. These high performance composite front doors have been rigorously tested to exceed British standards for air tightness, wind resistance and other weatherproof quality. I believe that choosing a composite door will give your entrance strength, resilience, and will protect your Kent home with many years of excellent service. Composite front doors offer a great deal more security than standard uPVC or timber doors due to the strength of the layered construction. All of our composite doors have been stringently tested to withstand sudden impacts and to be resilient to forced entry. Installed with high security multipoint locking mechanisms to ensure the security of your Kent home, a composite doors from First Glaze will provide phenomenal protection against would-be burglars or potential intruders. I have a wide range of composite door colours and styles designed perfectly to enhance your property in Rochester, Kent and surrounding areas. Using an exceptional variety of designs to replicate a traditional timber door perfectly, my composite door range has been created to complement all manner of Kent properties. Choose from a broad palette of colours that include traditional colours, natural finishes and bold, vivid colours that can create a positive impact and great first impression. 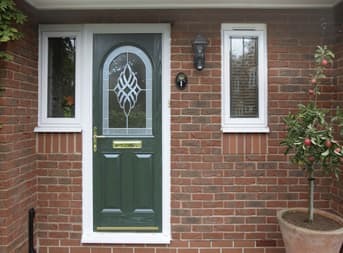 You can choose from a wide range of glass options to decorate your composite door to suit your home, as well as a variety of accessories such as spy holes, letter plates, numerals, knockers and handle types. The high quality of my composite doors will add value to your home in Rochester, Maidstone or throughout Kent. Not only are my composite doors a long term investment that will last significantly longer than a standard uPVC door, but you’ll also enjoy the money saving benefits from the high performance of these doors. Save money on your heating bills through the impressive thermal insulation qualities. Save money with the fact that the long lifespan of our composite doors ensures that you will not need to replace the door for more than double that of a uPVC door. Also by being virtually maintenance free, you’re saving money on expensive regular upkeep that traditional timber doors require. While the pristine finish remains looking like new to enhance the overlook aesthetic of your whole property, giving your home kerb appeal and making it more desirable should you wish to sell your home. My beautiful range of composite doors is extremely competitively priced. 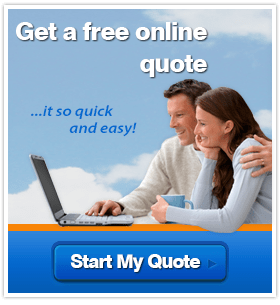 You can get a free, no obligation quote in moments. Call me today, send a message via our contact page or why not design your own door and receive a tailored guide price with our online quote engine. I’m waiting to hear from you. I also provide door repairs, so if you’re fed up with your draughty old door, then I’m here to help.